My daughter shared the news this summer that she was expecting another baby, due on December 23rd. A Christmas baby! 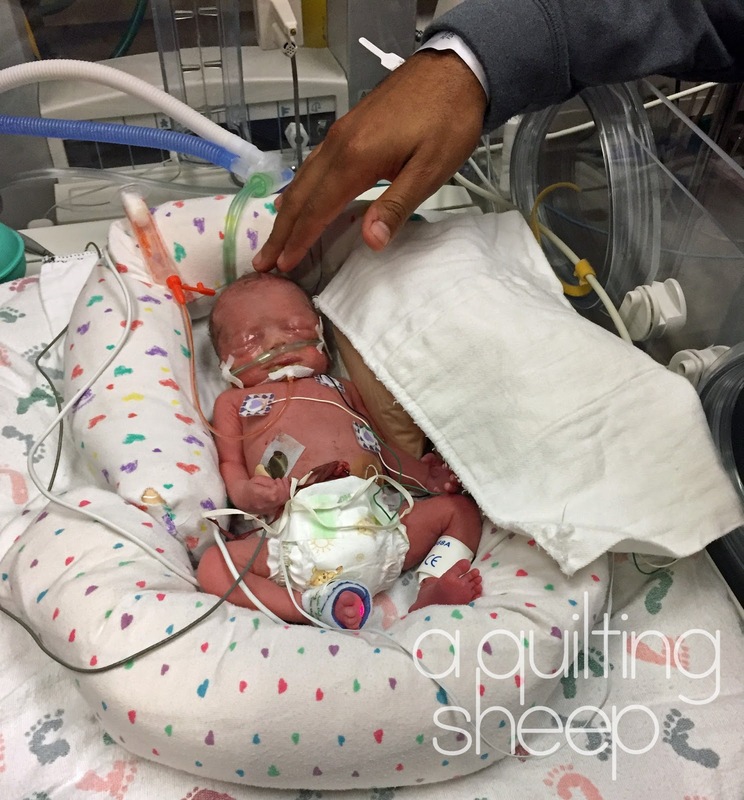 Except, as babies are known to do, they surprise us and come early...Last night, at 31 weeks gestation, Amelia Jayne (Millie) was born and I had the privilege of watching her enter the world and hear her first tiny cry. 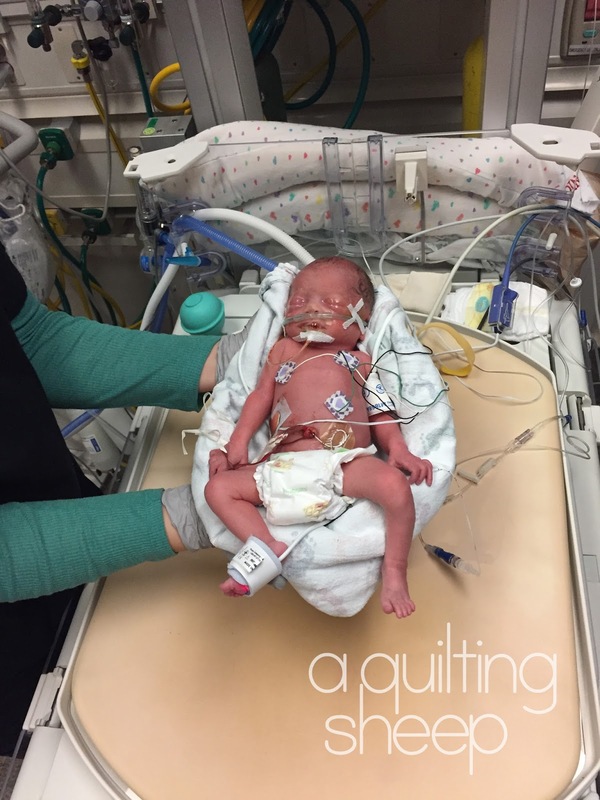 Millie was quickly taken away while they worked on her to get her to breathe better and get her into her new bed in NICU where she will be staying for a long time while she grows and gets stronger. She is so very tiny. Your sweet little one is a darling!!! I will pray for Mommy and baby to get strong soonest. We had one in the NICU also.....not an easy journey. Today our Laurel is four and just a bitty whirlwind. A true gift from God. Congrats and much love. Millie looks beautiful nd peaceful. Maybe she will be home for Christmas - that would be a wonderful gift! Congratulations! So cute and special. God bless you all! May God's healing hand rest upon her. WOW...she's really quite big for a 31 week baby (I think, anyway)! That's really good news. Congratulations!!! Oh my what a precious baby. Praying she will fare well, and be home before you know it! Congratulations. Congratulations. I had a grand daughter who was born November 1, at 32 weeks, and weighed the same, I think she was shorter, because she fit in the palm of my hand. She only stayed in the hospital for 4 days (could pass all the tests for breathing, car seat etc.). Now she is going to be 9 years old. My Lizzie arrived early too at 32 weeks. It is frightening. 30 years ago, I was almost certain she was going to die. Now we live in such fortunate times that we have good docs and medicines that help them continue their growth. I recall getting the bill for Elizabeth, it was $65,000 and we were joking we could have bought a Jaguar for that. Good Morning, Amy! What a beautiful sight for my eyes when I logged onto my computer and saw your email. 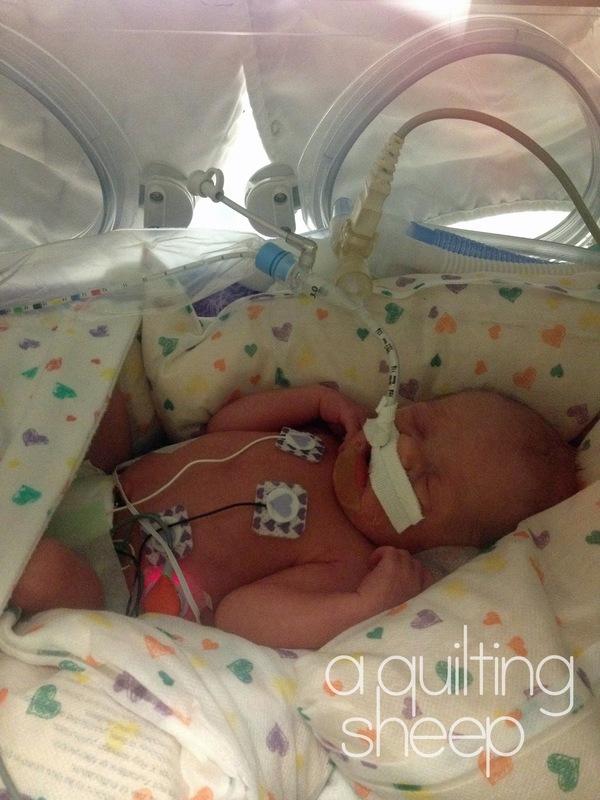 A beautiful, sweet new life in Millie! May God watch over her and your family in these coming days and always! Congratulations! My niece is in the hospital (has been for weeks) trying to hold off her baby boy (she's 32 weeks). Praying for both babies. She's beautiful! Congrats to you and your family! Praying she is big enough to go home soon! Congratulations! May she continue to grow healthy and strong! God bless. Sweet, sweet Millie! What a perfect name for such a tiny mite! God bless you all and those that care for her! Awww Amy she is so beautiful. Congratulation sweet friend. I send prayers your way that she continues to grow and get stranger. Such a sweet name, and what a cutie already. Congratulations! And prayers for her health! What great news! Congratulations all around! I'll be praying that she "graduates" from the NICU before long - and for health and strength for all of you. Congratulations on Millie's birth! 27 years ago my son was born at 33 weeks gestation. He's a big strapping hairy thing now! Millie will be the same (except not so hairy and probably far more dainty). She's so precious! She is beautiful (and tiny!)! Congratulations! Congratulations! A blessed little bundle for sure. Being a grandparent is truly one of God's Greatest Blessings. I am so very thankful for the medical knowledge God has given to the specialist.